Geir Bertheussen Blues Express is proud to announce that we will be representing Norway in the European Band Contest, European Blues Challenge (EBC) in 2019. This year EBC will be hosted by Portugal, April 4 to 6 April out in the Atlantic ocean at the Azores. 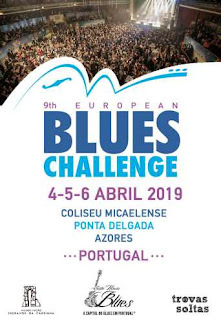 More information on EBC in the Azores is available from the Bluesnews and the Norwegian Bluesunion websites.